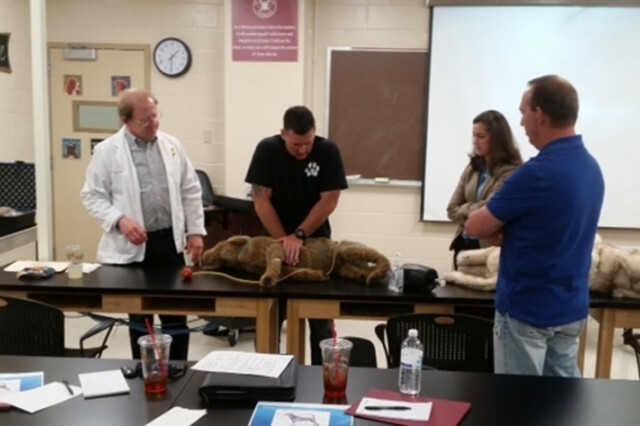 K9 handlers from Redstone Arsenal and Columbus AFB traveled to Mississippi State University recently to receive lifesaving veterinary medical training for their K9 partners. Capt. 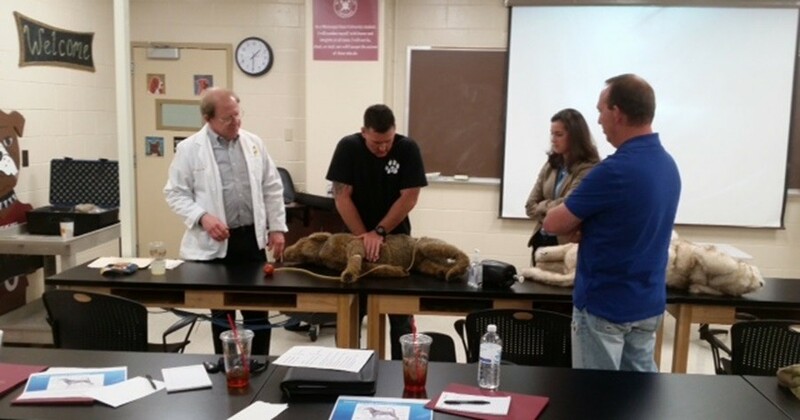 Teresa Vaughn, officer in charge of Redstone Arsenal Veterinary Services, teamed up with professors and Health Professions Scholarship Program awardees at Mississippi State University College of Veterinary Medicine to host this day of military working dog handler training. To kick off the morning, Dr. Elizabeth Swanson, MSUCVM assistant professor of small animal surgery, Dr. Cory Langston, MSUCVM professor of the Department of Clinical Sciences, and Lisa Pritchard, MSUCVMM head technician of internal medicine and oncology, provided a series of lectures and demonstrations to the handlers on common types of working dog medical conditions, injuries and emergency medical treatment. Following the lectures, Vaughn and two current HPSP students, 2nd Lt. Gretchen McLaughlin and 2nd Lt. Shauna Trichler, assisted with providing the handlers hands-on training on tactical combat casualty care tasks such as intubation, catheter placement, bandaging, fracture stabilization, cardiac life support and performing a thoracotomy using models provided by both MSUCVM and Redstone Arsenal Veterinary Services. 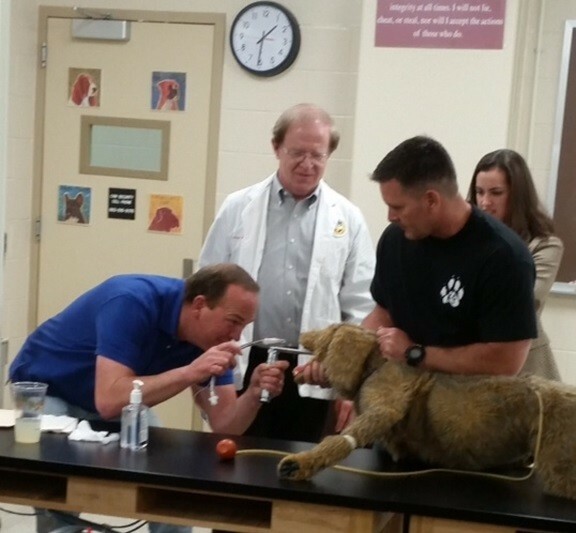 The event was a great training opportunity for the handlers, and also provided HPSP students exposure to working with handlers and gain mentorship by a Veterinary Corps officer. Understanding and being able to implement the basic aspects of emergent veterinary care ensures handlers can provide a quick response to injuries that may occur when cut off from more advanced veterinary care. A quick and accurate medical response saves lives. 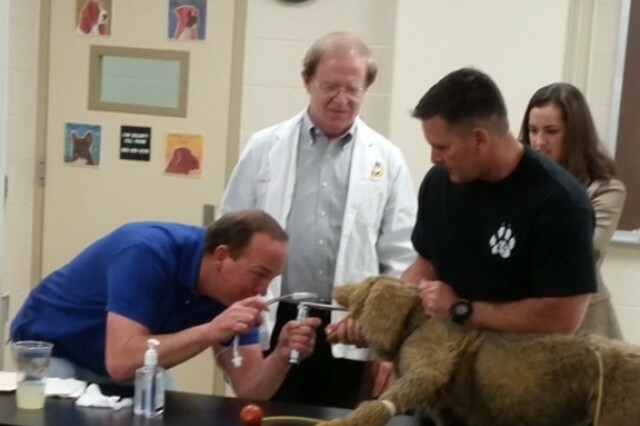 All who were involved viewed it as a great success, paving the way for more opportunities for collaboration between MSUCVM, the Army Veterinary Corps and K9 teams across Mississippi and Alabama.